Precor is a rapidly ascending global leader in high-end fitness equipment. The company needed complete site design and development, online marketing (emphasis on loyalty), search engine marketing, Email marketing and application development. Challenge: Like Precor’s equipment, the globalized / localized site and online marketing must translate the smooth, flowing, and intuitive brand promise into the online vernacular. Solution: An industry-leading, enterprise-wide web strategy encompassing all facets of marketing, communications and efficient business processes. Investing in a Precor product warrants significant consumer research in advance of commitment. Engine developed a consumer experience with detailed product specs, product comparisons, buying guides, an interactive Space Planner tool, and 360-degree products views. 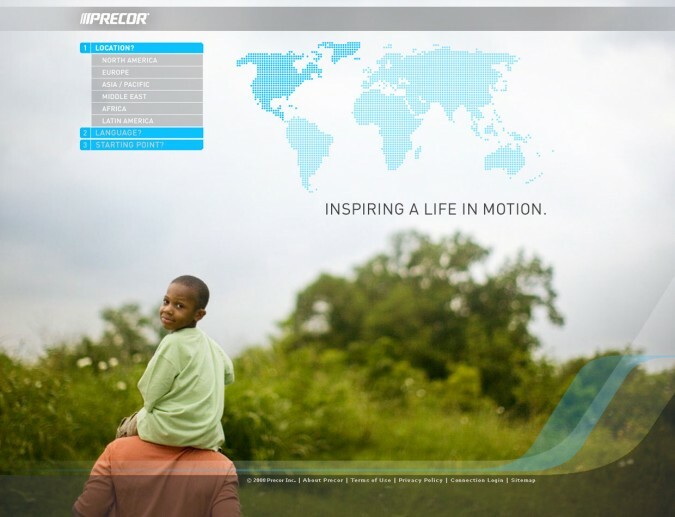 Result: While working with Engine, Precor’s gross revenues grew more than 700%. The website had as much as a 345% increase in unique visitors YOY, and averaged a 5-minute stay on the site.